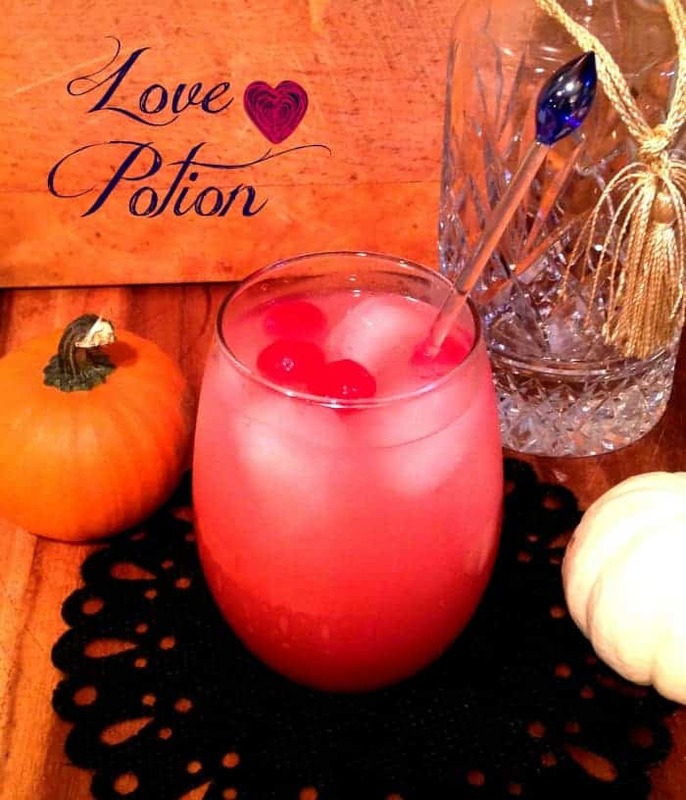 Put a spell on the one you desire with this easy, tasty and flavorful Love Potion! 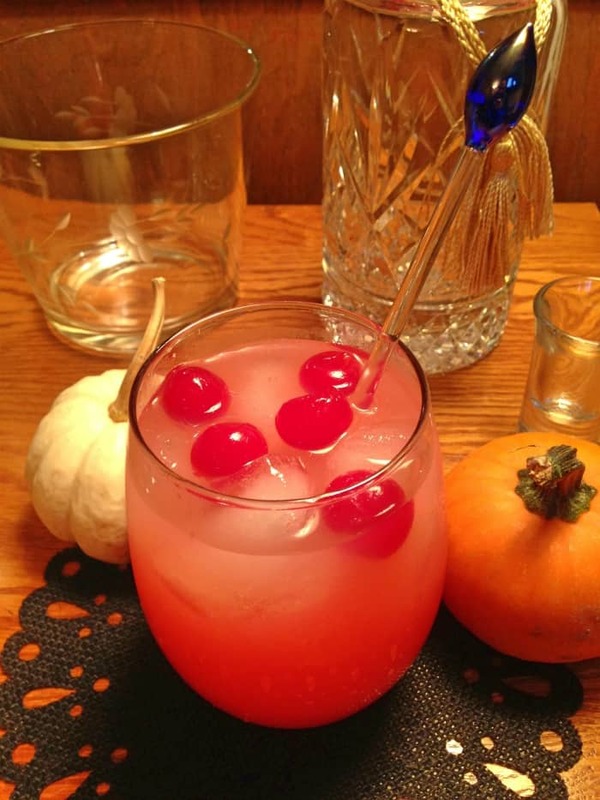 Fruity and fun this is the perfect Halloween Cocktail! Yay it’s Friday! Anyone as excited for that as me? I love the weekends, it gives me the chance to finally get in my kitchen and create! A few of my bloggy friends and myself are getting together to do a Holiday Roundup for you all and I need to get in a few more options on my part so I can bring something great to the table to show you! It’s one of those days again where not a lot is on my mind and I don’t have any exciting or weird news to tell you all! Why does my life have to be so boring. Correction; my life is never boring I have 4 very loud, very active children. So I’m always on my toes with them and honestly nothing surprises me anymore when it comes out of their mouths. To all the first time mommy’s out there, you will get used to it and you will learn to tune it out. Especially the tattling. Right now I’m sitting here listen to them fight over a baby ball. Taking into consideration the two who are fighting over the ball are 7 and 9…yeah let that one sink in. Anyways, did anyone watch Grey’s Anatomy last night?!?!? I’m excited for this season, I didn’t watch it because we got rid of our Dish services and I am waiting for some quiet time to watch it today on Hulu, So. Stinking. Excited. So don’t tell me what happens and then I promise we can be friends forever. Then next week we can all gush over the drama that certainly comes with the show! Ok are you all done with my boring life yet? How about some of this Love Potion? I said before that I don’t drink, but I love playing bar tender! 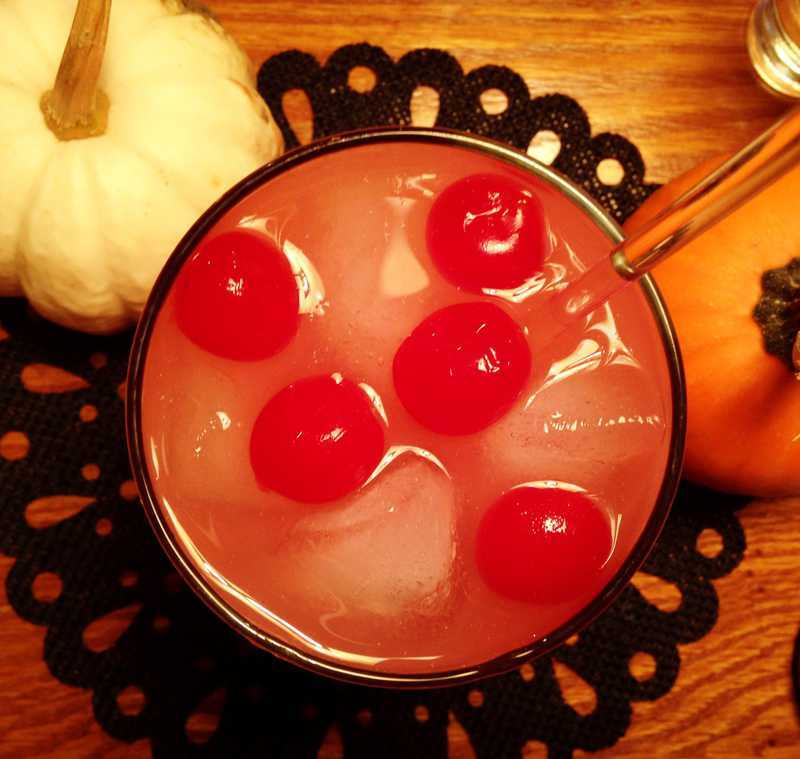 Whip this up for a Halloween party and you” have some happy party-goers with the fruity tang of pink lemonade, splashes of grenadine and the crisp vodka. All topped off with ice and cherries! How can you go wrong with that? In glass pour your vodka and lemonade, pour in desired amount of grenadine. 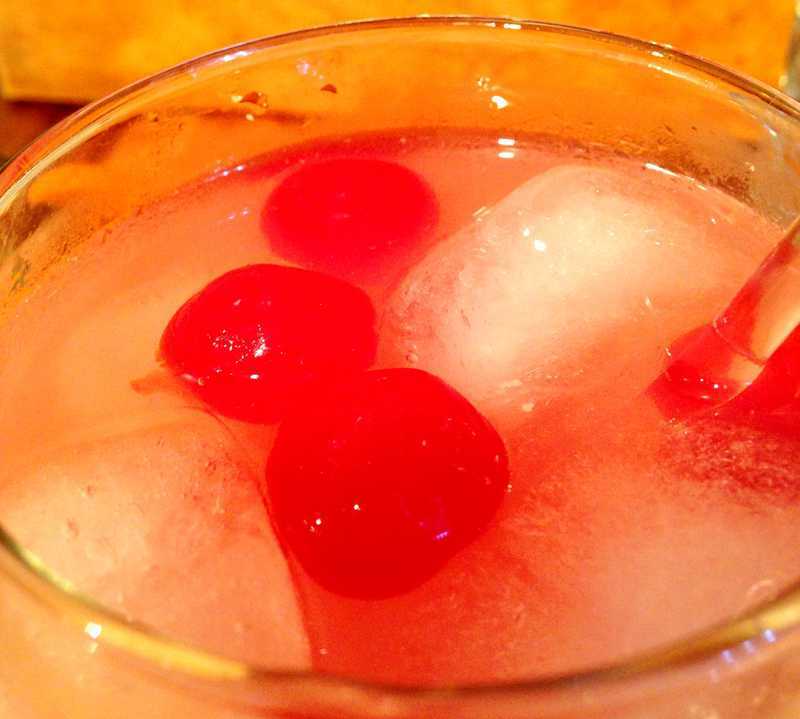 Top with ice cubes, then cherries. A few of these love potions and I would definitely be able to tune a lot of people out! Haha this is true. By the time you’re done you’ll love everyone! That looks refreshing. I have 4 kiddos too and I know what you mean that life is never boring as there is always some action from them going on…or mischief. I hope you have a relaxing weekend. 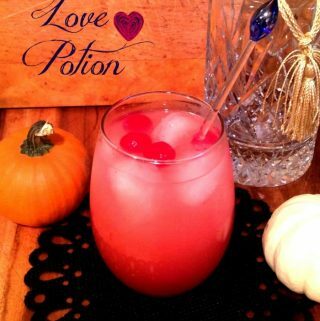 Love potion number 9! Love it, what a pretty libation….thanks Alli! What a fun drink! I can have this now AND at Valentine’s day! Thanks Jennifer! This drink can carry with you through multiple holidays! This looks festively delicious. Featuring as one of my favorite posts on Small Victories Sunday linkup this weekend! Thanks for sharing with Small Victories Sunday Linkup. Pinning to our linkup board and hope you found some great posts to visit this week! Thanks Tanya! Can’t wait to come stop by this weekend!! What a pretty drink and it sounds like it tastes delicious. Thanks for sharing at the #AnythingGoes Link Party.